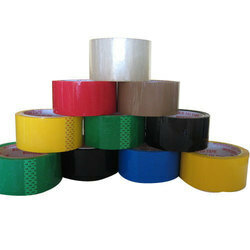 Pioneers in the industry, we offer self adhesive tapes from India. For reasons of quality maintenance, we abide by the industry set norms and guidelines for manufacturing these Self Adhesive Tapes. Owing to the finest raw materials and modern machines used in its making, the offered product is known for its superior strength, commendable durability and high resistance to heat and moisture.